The plan is to break away from traditional aesthetics while tipping my hat to a generation of forward thinkers. I strive to create something that goes beyond “standard” ideas and instead pursue this project inspired by layout, location, and function. Frank Lloyd Wright’s mentor, Louis Sullivan famously stated that, “Form follows function”. This idea is expressed by Modernisms’ tendency to have the function of a project dictate much of the design ideas. I will attempt to look through the eyes of this perspective throughout the build. IKONiK will be my interpretation of a sleek, modern and high tech PC. 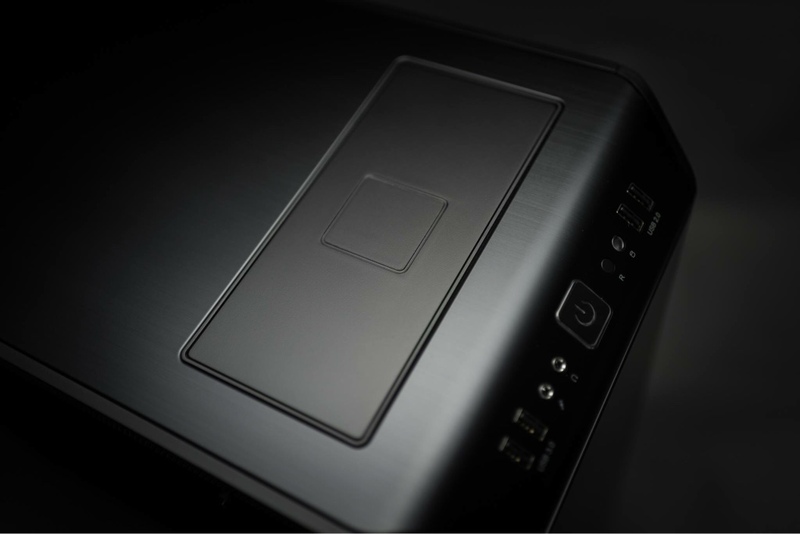 It will feature the latest hardware modded into one cohesive design. I have purchased a good deal of exotic materials and finishes that will help give it the modern design cues I am looking for. The concept design for this build serves as an outline if what I want the build to look like. As the build progresses I will add some things, keep a lot from the design and change a few. This helps to assure that this build is up to my standards when its finished. 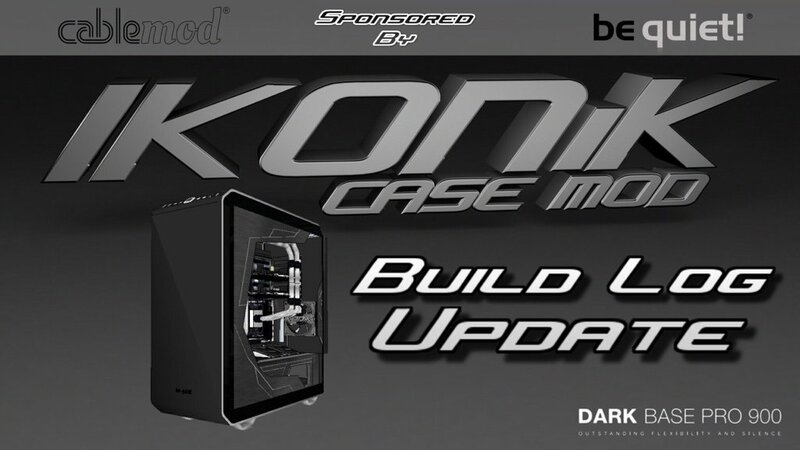 I will be using the new DARK Base Pro 900 from Be Quiet for this build. 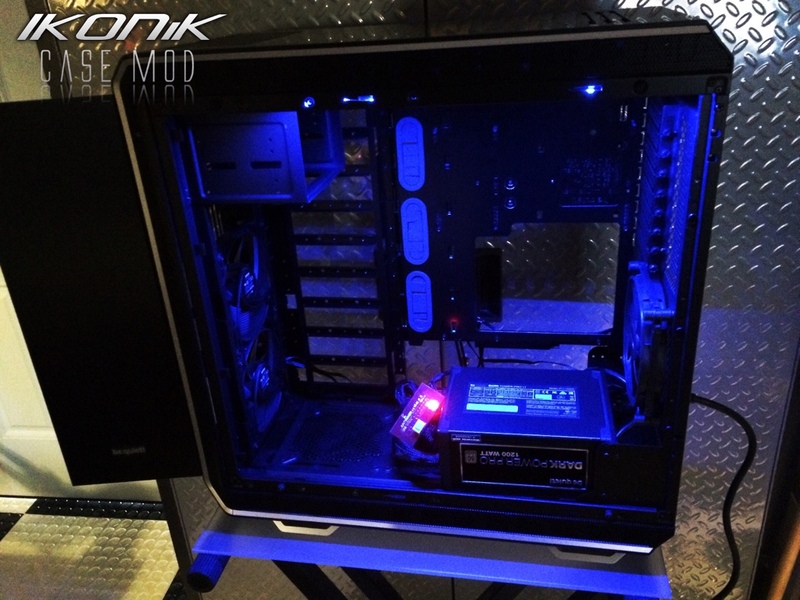 I am honored that they approached me to be the first person to mod this case. 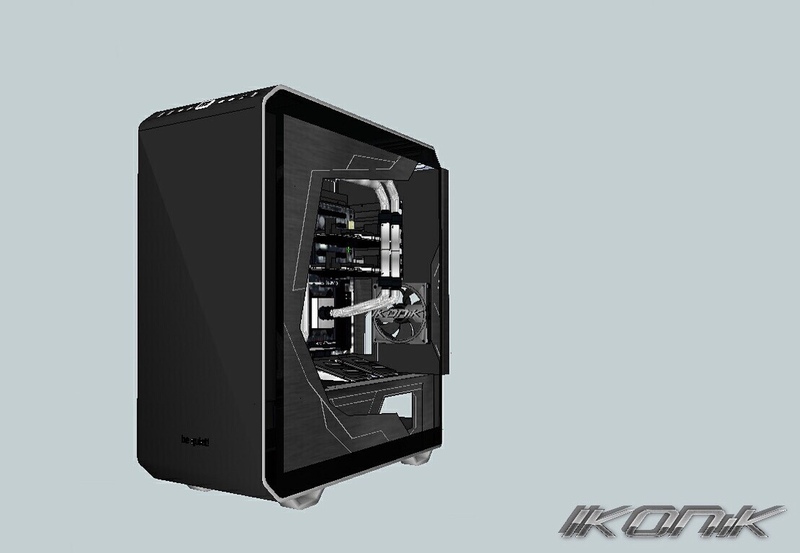 It has a lot of new features; with modularity being a big part of the design. 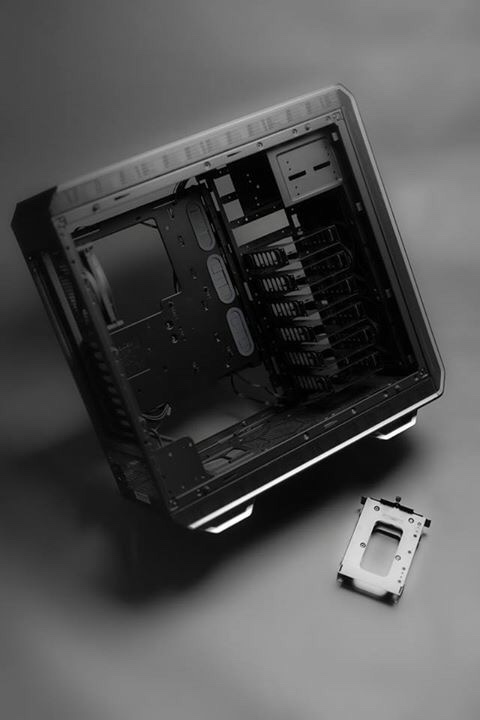 The plan is to invert the motherboard and take advantage of the design features found throughout the case. 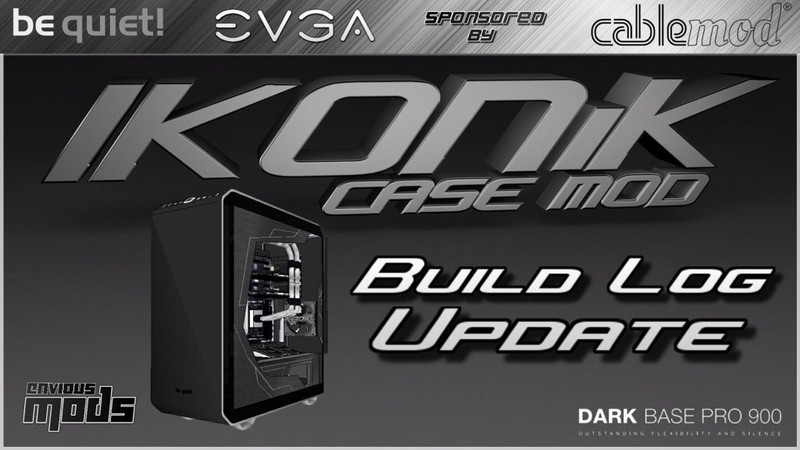 This build will primarily focus on modding the hardware as well as the case. 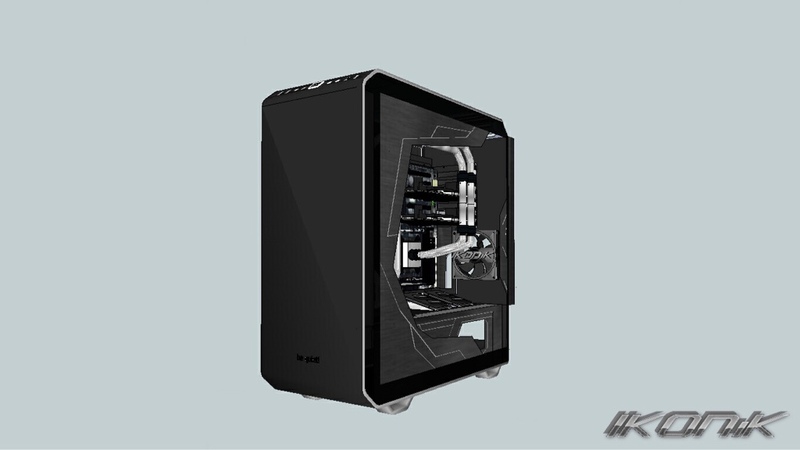 My last build, “Dark Matter” was a scratch build that required hundreds of hours focused primarily on building the structure of the case. 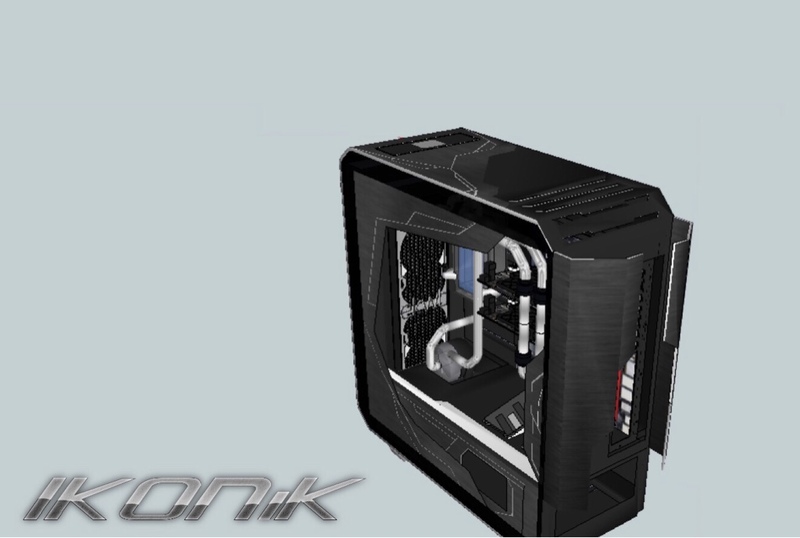 For this build I get to save that energy and focus it towards modding the case/hardware. As with all of my builds the main features tend to evolve. The build usually takes on a personality of its own during the process. I have set guidelines and a concept for this build but, it will have a lot more “freestyle” modding that I tend thrive in. Last edited by Envious Mods; 08-08-2016 at 08:58 PM. 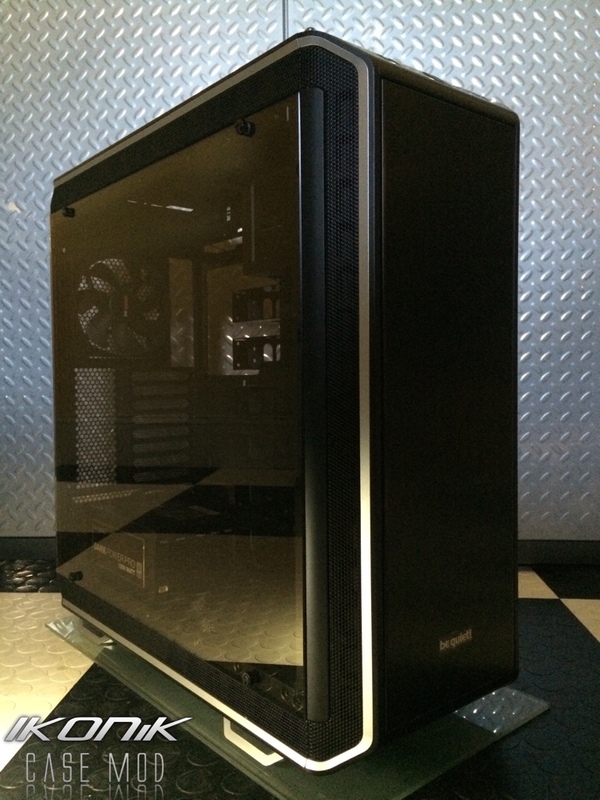 The Dark Base Pro 900 case by Be Quiet has recently arrived at the shop. The case comes in black, silver or orange accents. I went with the silver Pro version. 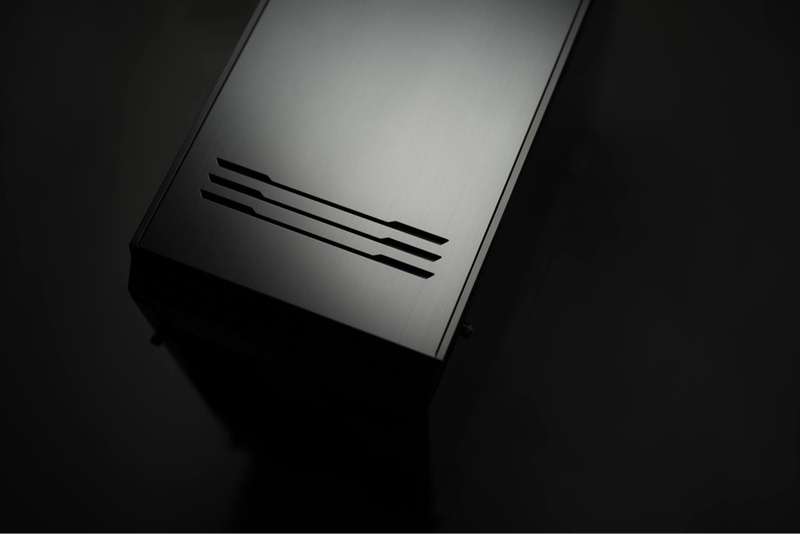 The Pro version comes with an upgraded PWM fan controller that can be controlled through your motherboard. It also has modular RGB LED strips that can easily be moved to multiple locations. 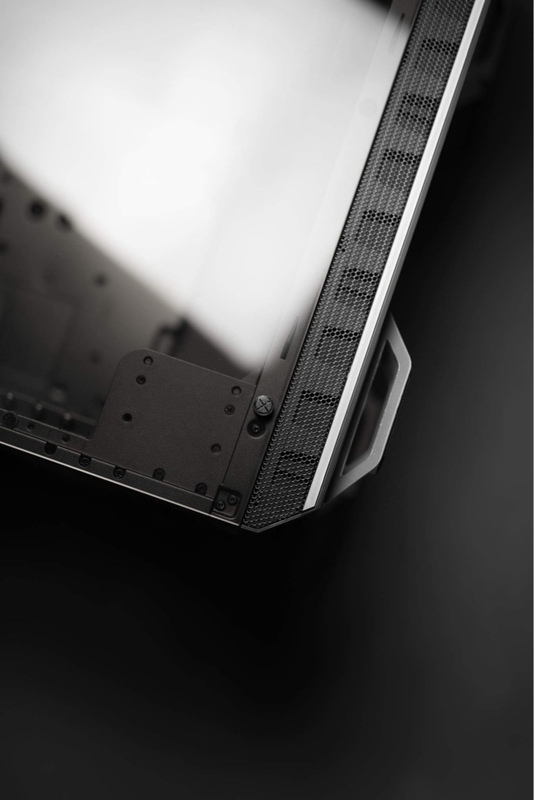 Another neat feature is the tempered glass side panel. 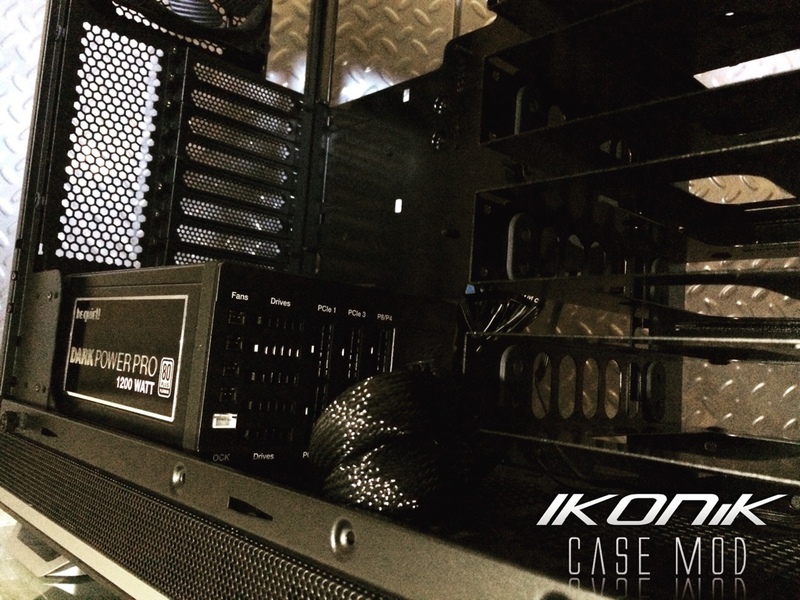 Everything inside of the case is modular which allows you to move things to accommodate your specific needs. I will be flipping the motherboard 180 degrees for the IKONiK build. 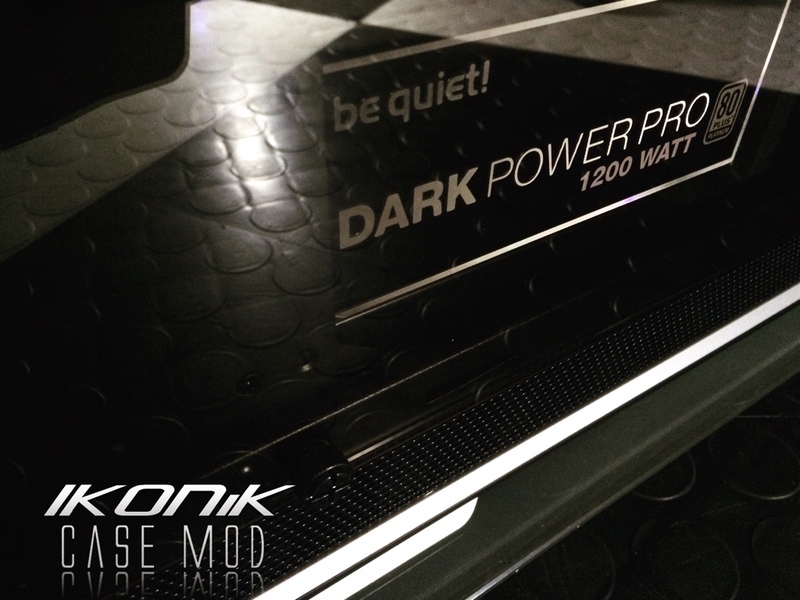 I took a few pictures right after unboxing it and the 1,200 watt Dark Power Pro 11 PSU. Last edited by Envious Mods; 08-06-2016 at 04:13 PM. 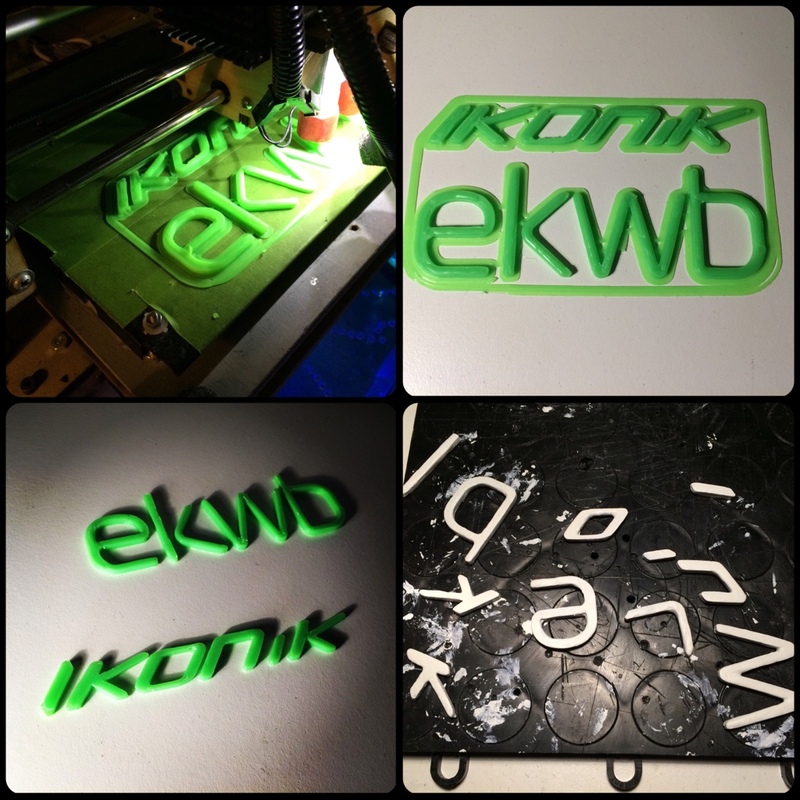 I wanted to get started on the, “IKONiK” and “EKWB” logos I designed a couple days ago. After the logos were finished on my 3D printer I went ahead with some light clean up and applied some sandable filler. These inserts will be used on the radiator grill and rear 140mm fan. 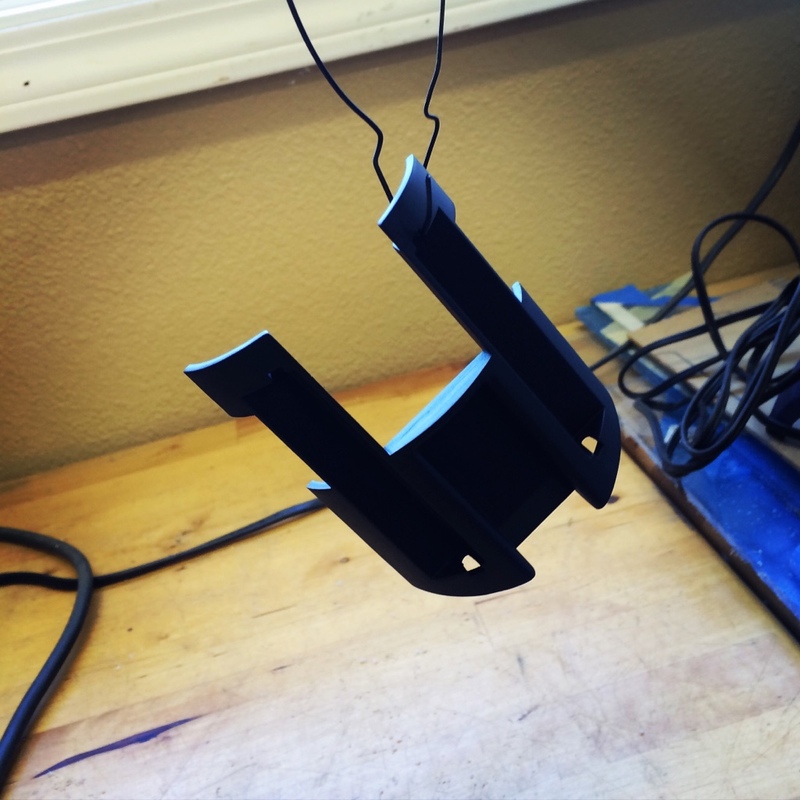 Next up to be 3D printed is the actual fan grill that these pieces will mount to. When the new PureWings 3 fans arrive I will post some mockups of them with the grills. 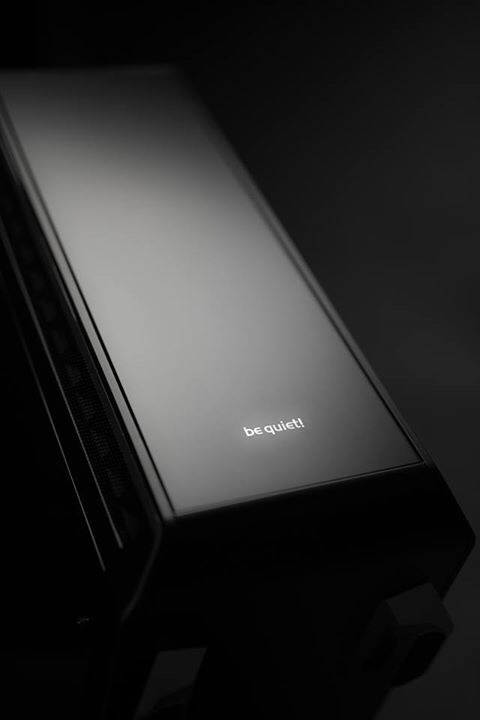 The PSU from Be Quiet recently arrived at the shop. I used the same PSU on my last build and I liked it so much that I requested it again for this build. 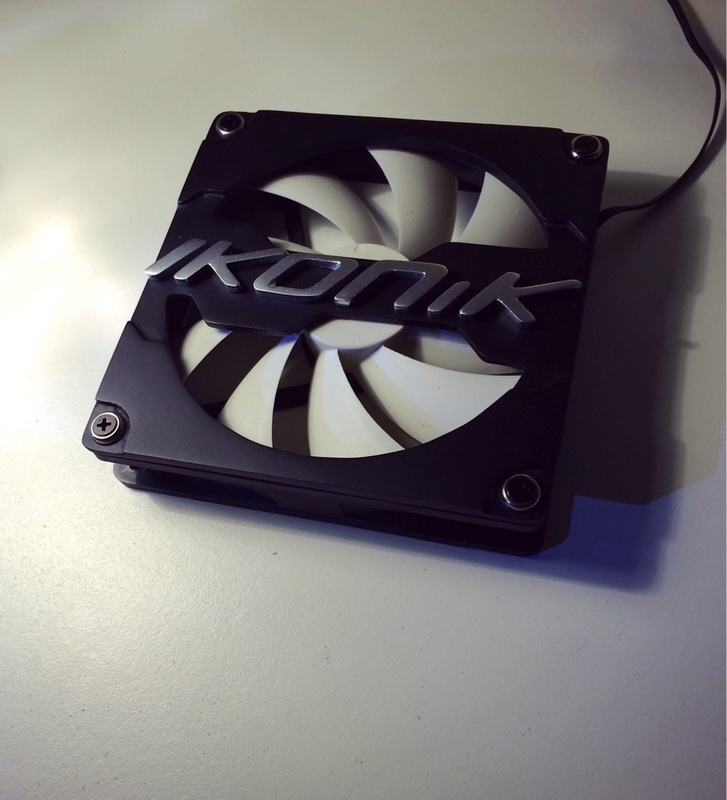 I have wanted to do a few mods to a PSU for a while now and this design will work well for the IKONiK build. 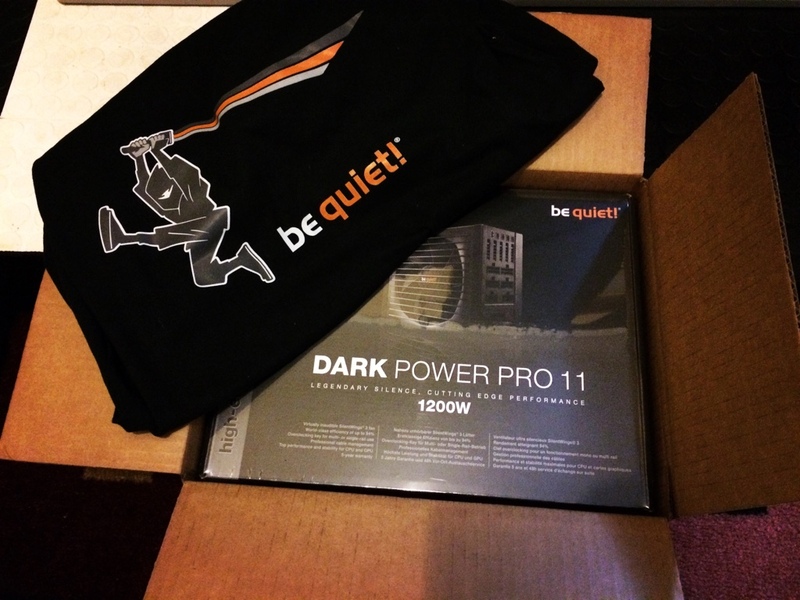 Be Quiet was nice enough to throw in some awesome swag. I shall wear this shirt proudly. The plan is to cut a window in the side of the PSU so that I can mount two-way security acrylic. 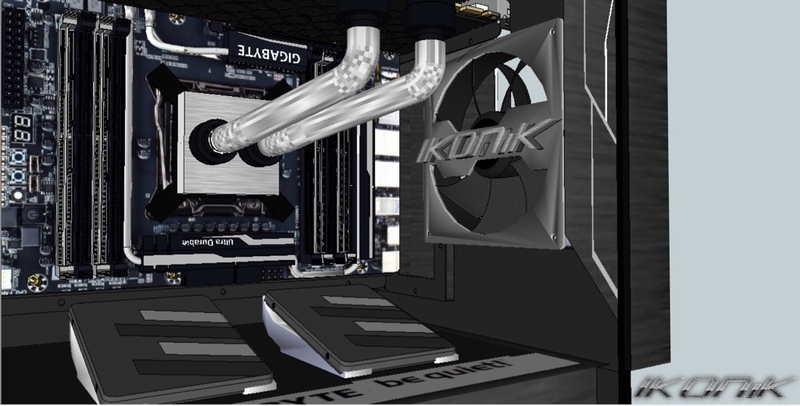 This will allow people to see inside the PSU when its on but, not when its off. I will need to add a few LEDs inside the PSU for this. When the backlights are off the lpanel will look like a mirror. This is the same concept used for security in places like Vegas's Casinos. As with most PSU manufacturers, Be Quiet uses special modular connectors for the cables being plugged into the PSU. I have had a hard time finding pre-sleeved solutions that are specifically designed for this PSU until I came across CableMod. 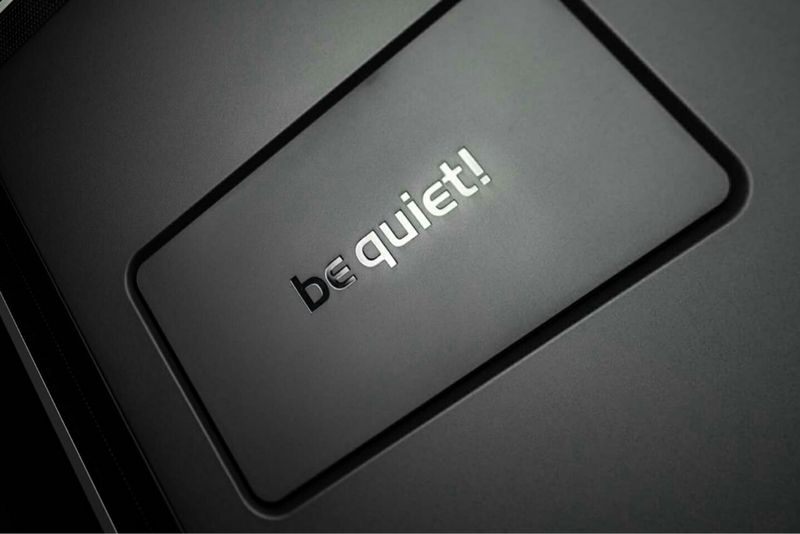 They sell all kinds of pre-made and custom cables solutions for a large selection of PSUs including Be Quiet. 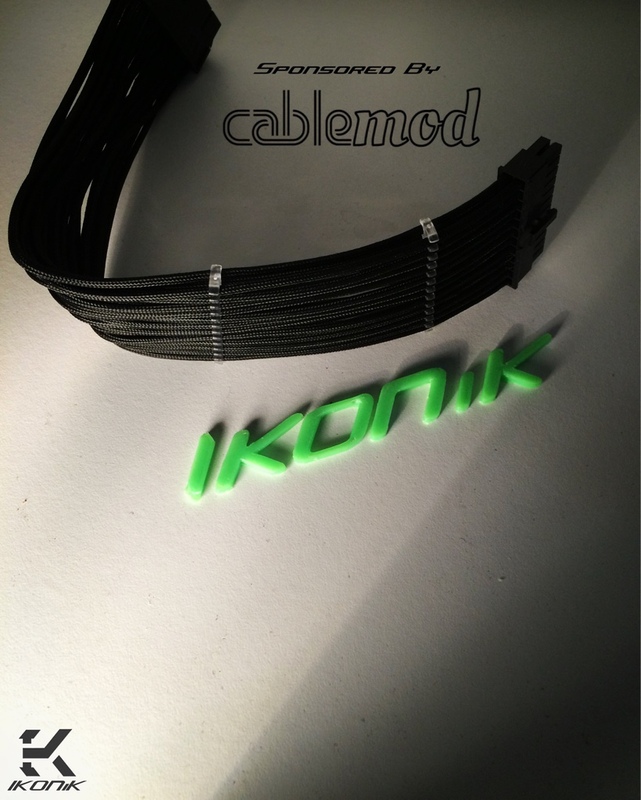 I loved the look of the cables immediately and I am very happy to have them as a sponsor of the IKONiK build. Being the type of person I am I couldn't help but, flip the motherboard tray on the Dark Base 900 Pro. Theres quite a few advantages to doing this. 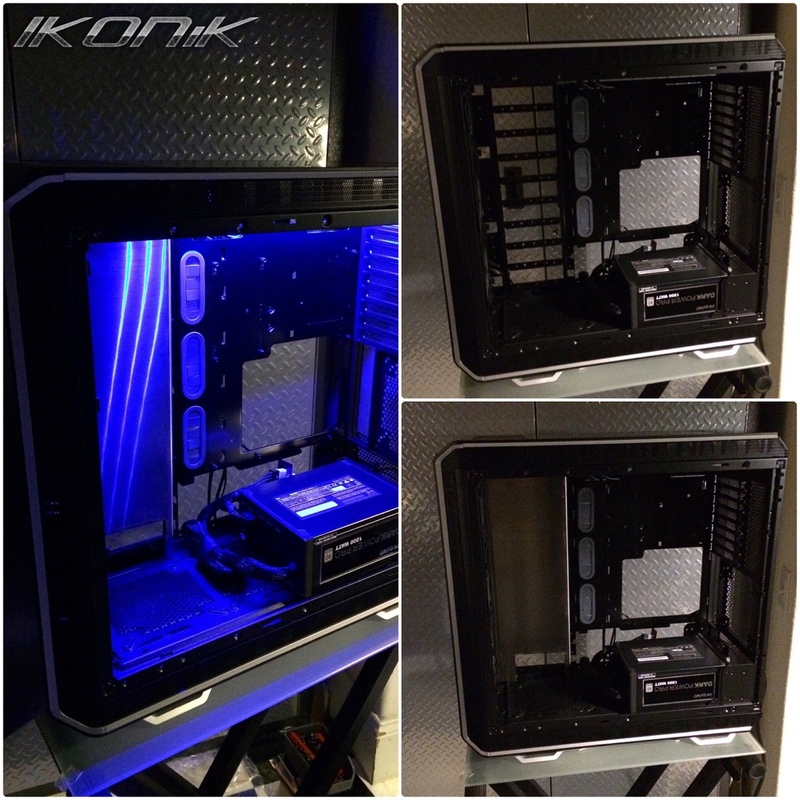 It fits in with my anticipated custom loop and also locates the plugs where I want them. Ive heard that the instructions were somewhat difficult to follow when it comes to flipping the motherboard tray. For this reason I decided to see how hard it would be to do it without the instructions. Surprisingly it was pretty easy to accomplish. The only thing I didn't like was some of the bolts used in the case. You need about 3 different sized phillips screw drivers to remove the bolts without stripping them. Other than that I found it to be very intuitive. The swap just made sense; which I really like. 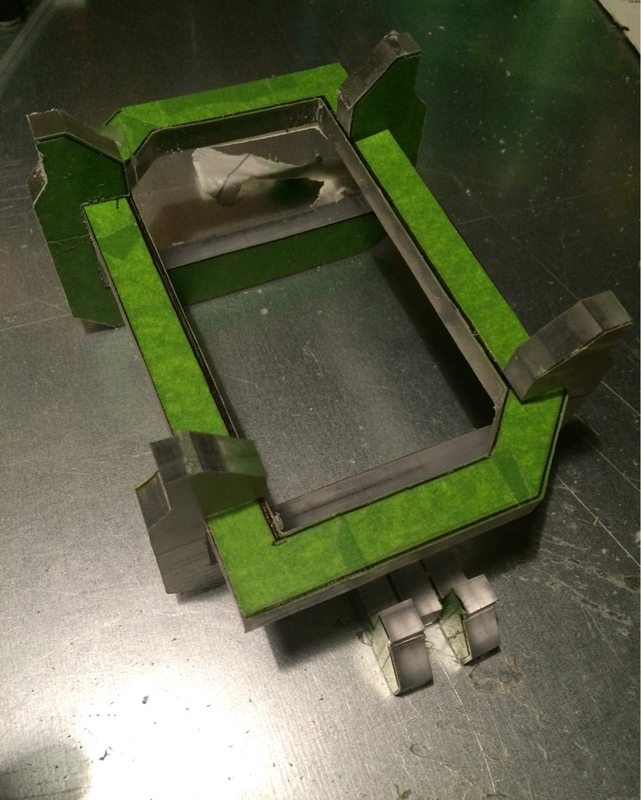 I've been playing around with different designs for a scratch built reservoir. I will build the reservoir using basic tools like a scroll saw, files and sandpaper. 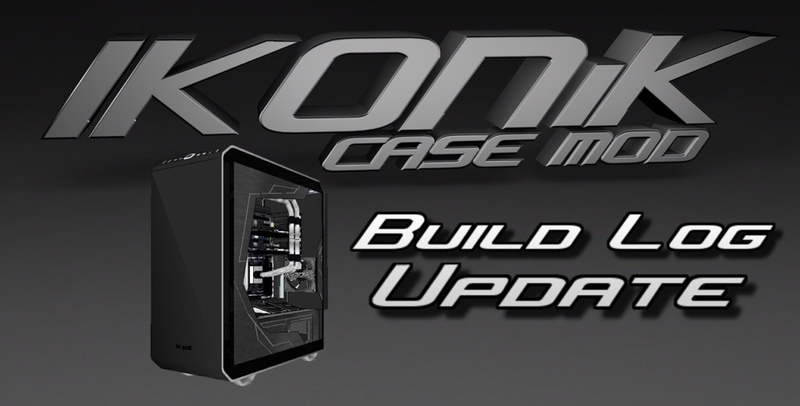 Im attempting to do it this way to show aspiring case modders what can be done if your willing to dedicate the time towards it. I tried multiple ideas and I've finally determined the shape, custom mount and size that I will use for it. The only part I still need to determine is exactly where I will put the inlet, fill port and outlet. The plan is to run the inlet from the 420mm radiator that will be mounted next to it and the outlet will go directly to the pump below it. Typically I run my res directly to the pump as it helps assure that the pump doesn't run dry. 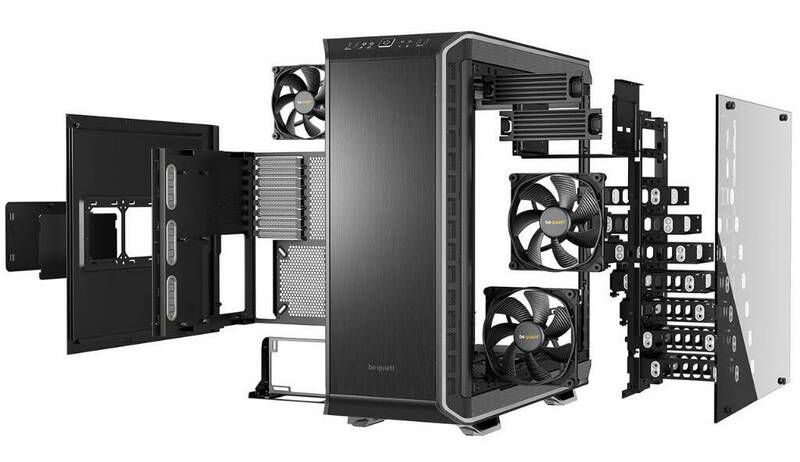 After reading some reviews on the new Dark Base Pro 900 I found that there were very few dislikes for the chassis. One of the dislikes was that there was no optional cover for the hard drive rack if you chose not to use it. This is an easily solved problem and I'm glad that they didn't make one. I say this because I want to make a passthrough where the cover would go. Making my own will allow me to customize it to fit my needs. Polishing stainless steel can be tricky but, if you know the right process its not so bad. All stainless steel has striations or grain. Its usually either vertically or horizontally. Make sure you only go with the grain when polishing as it'll make it look a lot better. Start by using a soft paper towel or 100% cotton towel and put dawn dish soap on it. Then put just enough water on the towel to make it damp. Wipe down the stainless, making sure to go with the grain. Once you done the entire surface, take a dry towel and wipe of any water or soap. Use a new towel a put a very small amount of mineral oil or baby oil on it. Wipe down the stainless again and your in business. 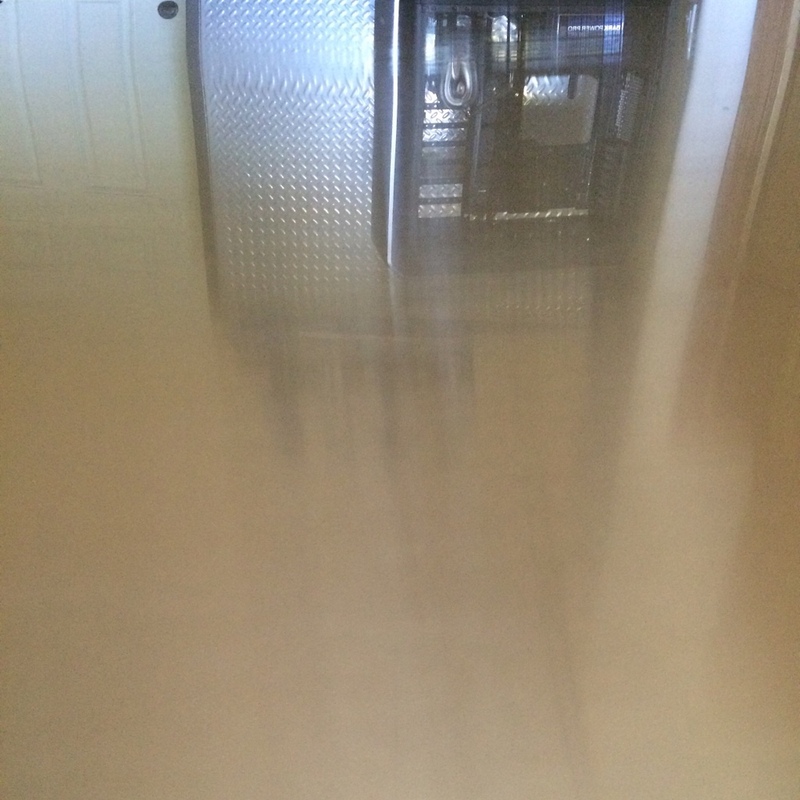 The picture shows the reflection after I polished my stainless steel sheet. Its so good that I could see my case from across the shop. I made a template using hard stock because I knew that I would be changing the design a few times. Usually I'll use foam board or something more rigid but, this gave me a lot more flexibility to make changes very quickly. Once I had it perfected I transferred the design over to sheet metal. My air cutter made quick work of all the detail and I got an opportunity to test out my new angle grinder which works fantastic. Once I had the shape cut out I bent the metal 90 degrees to wrap around the PSU. I decided to do a more gradual curve instead of a very tight one. It looks great. I also didn't use a metal brake to bend the sheet metal. I wanted to show what could be done using the most basic of tools. I also took the opportunity to see where the passthrough would be if I ran the pump through here. 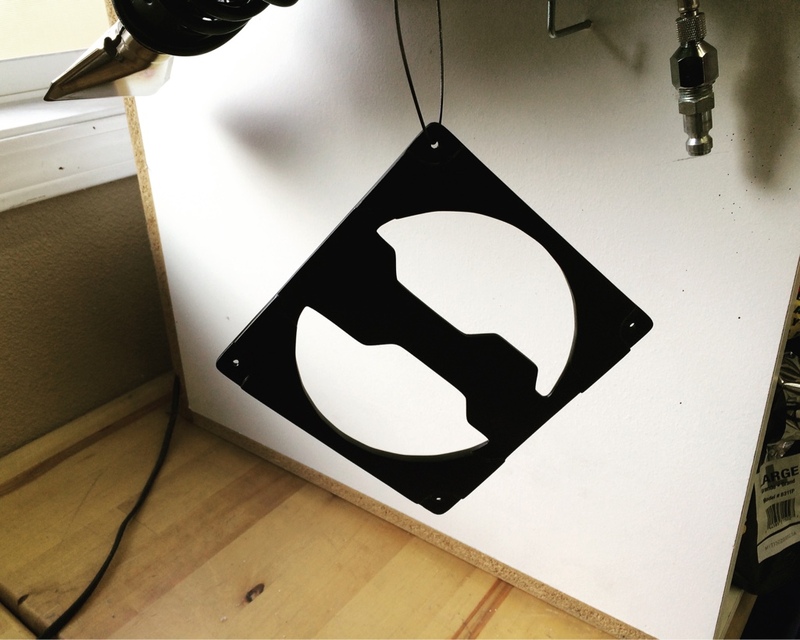 This fan grill can be seen in the concept design in the first post of the build log. 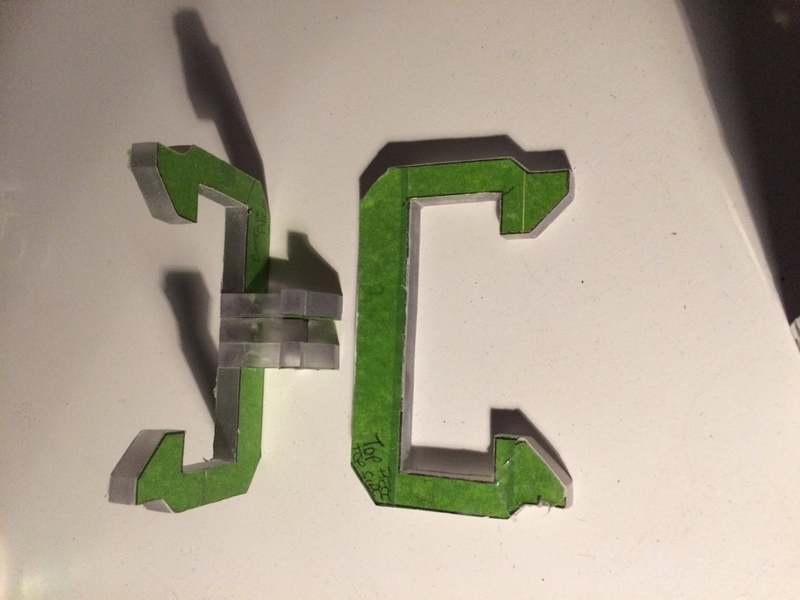 It will have a 3D printed IKONiK logo that will go on top of this piece. The IKONiK lettering is previously shown. Im almost done with sanding the filler primer. Once finished I want to try and paint the main grill in a either grey or black with the lettering in a sterling silver. I will update once I start painting these pieces and mock them up. 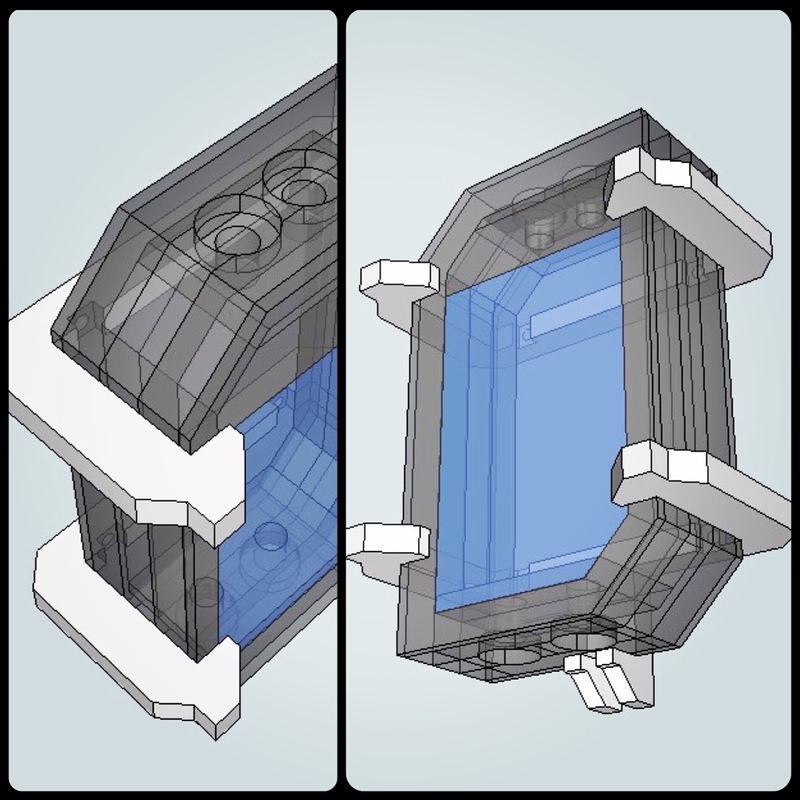 I have determined the shape and design but, I needed to figure out the actual size that the reservoir will be. I ended up going with about an inch and a half thick. As with all my acrylic stuff I cut out I make templates first and then use my scroll saw to cut out the pattern. I've got the majority of the mount finished and about a half of the reservoir cut out. Once I have all the pieces I will glue them all together, drill and tap the threads for the water cooling fittings. Now that I've had time to finish sanding and priming the grill and lettering I have started doing some test painting. I will start out with a black and sterling silver combination. This will be my first time working with sterling silver paint so I hope it lives up to my expectations. The first few layers went down well on the main grill. 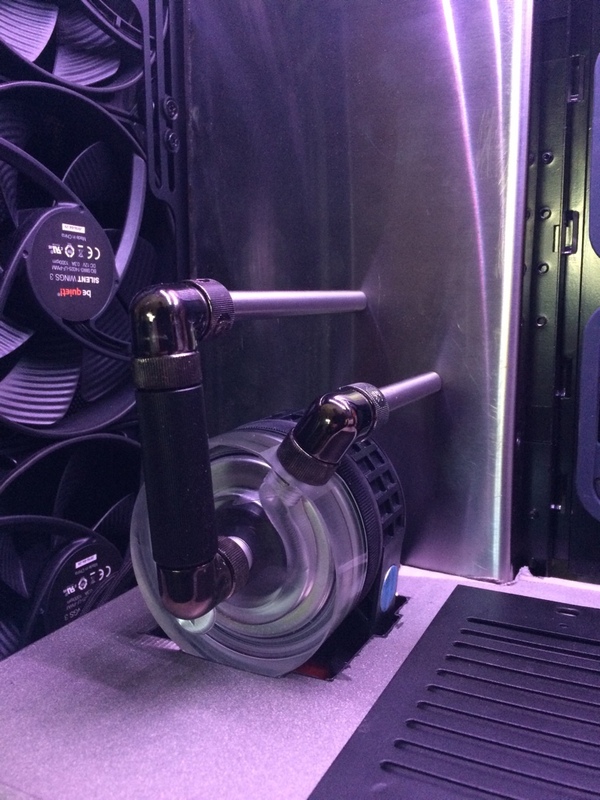 When the rest of my fans arrive from Be Quiet I will test mount everything. 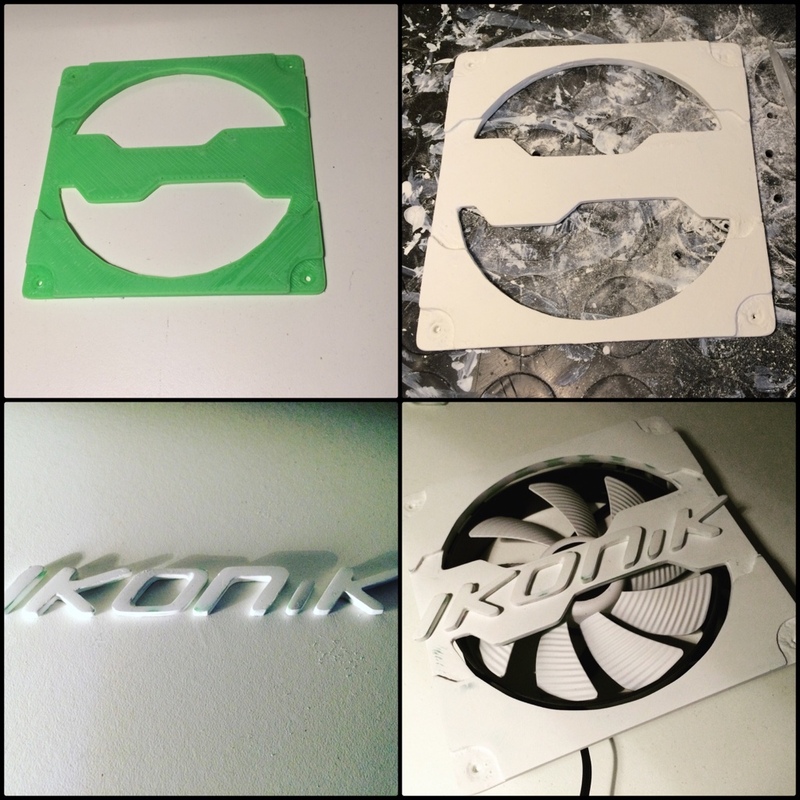 Im also going to try a new 2–tone paint job on some of the fans so it'll be neat to see what they look like together. 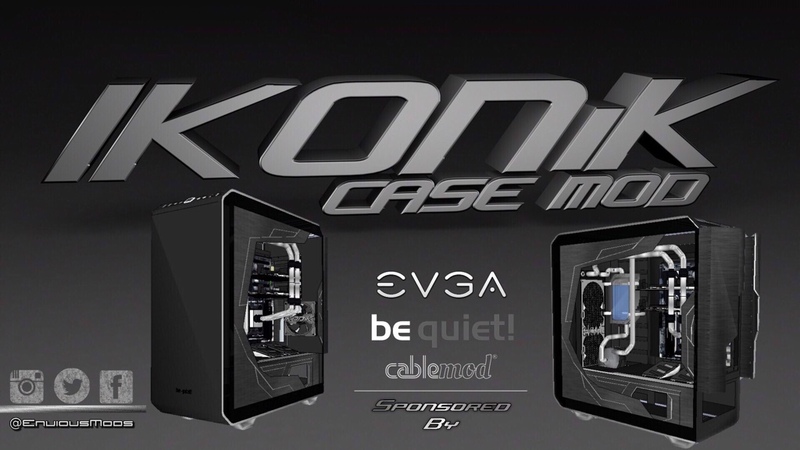 I am very happy to announce that EVGA has decided to sponsor the IKONiK case mod with all kinds of sweet hardware. I will be using an EVGA motherboard, GPU and DDR4. I will update the list with the exact parts that will be used. Ive been a big fan of EVGA for quite sometime and I'm excited for the new hardware to arrive. I will also update and take pictures once the new gear arrives at the shop. 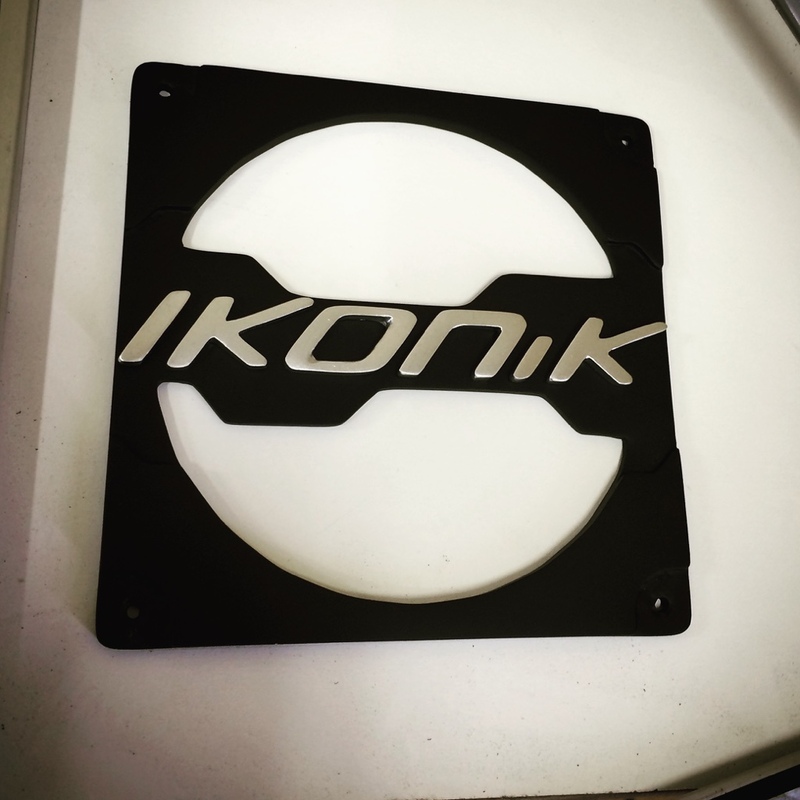 I was finally able to mockup the 3D fan grill and IKONiK lettering. This was a prototype I did to test colors and scaling. Everything came out great and it'll look much better when the letters are actually correctly spaced/mounted. 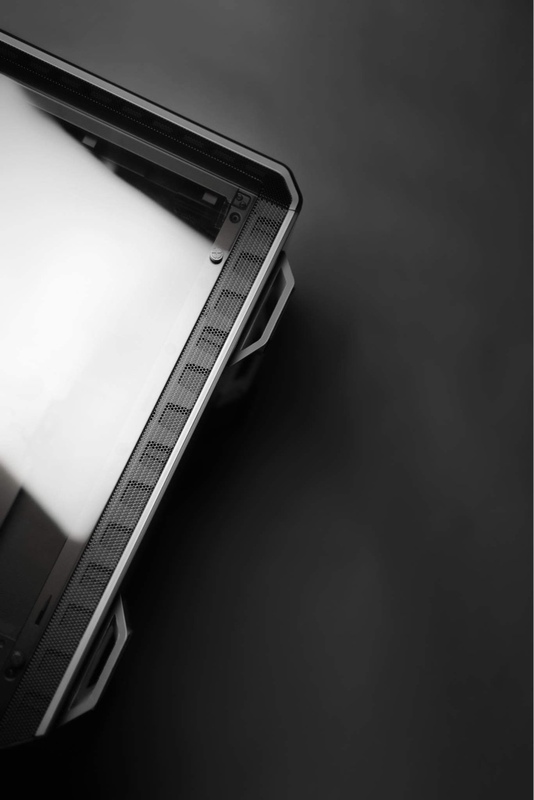 The Dark Base Pro 900 comes with a breakout box mounted on the back side of the motherboard tray. It has eight fan connectors and two LED strip connectors. 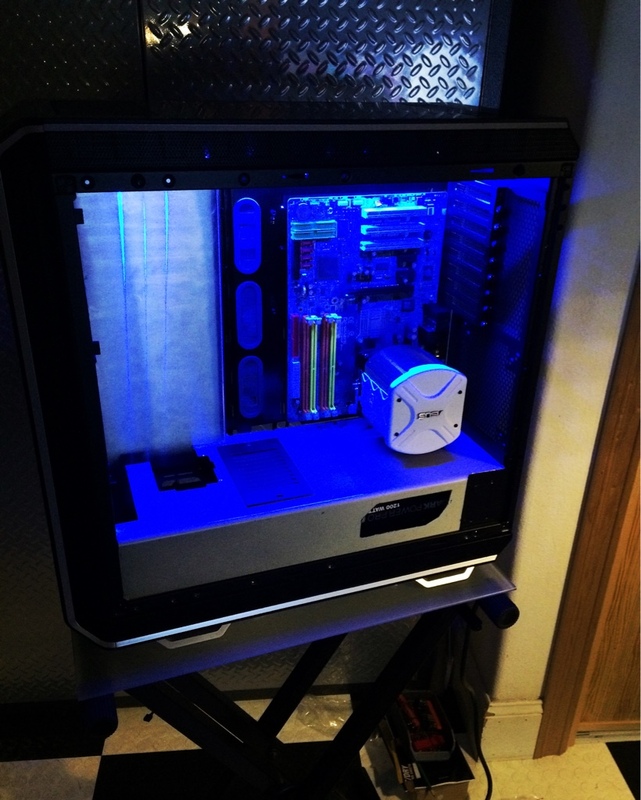 The LED strips are controlled via a switch in the front of the case to change the color of the RGB LED strips. 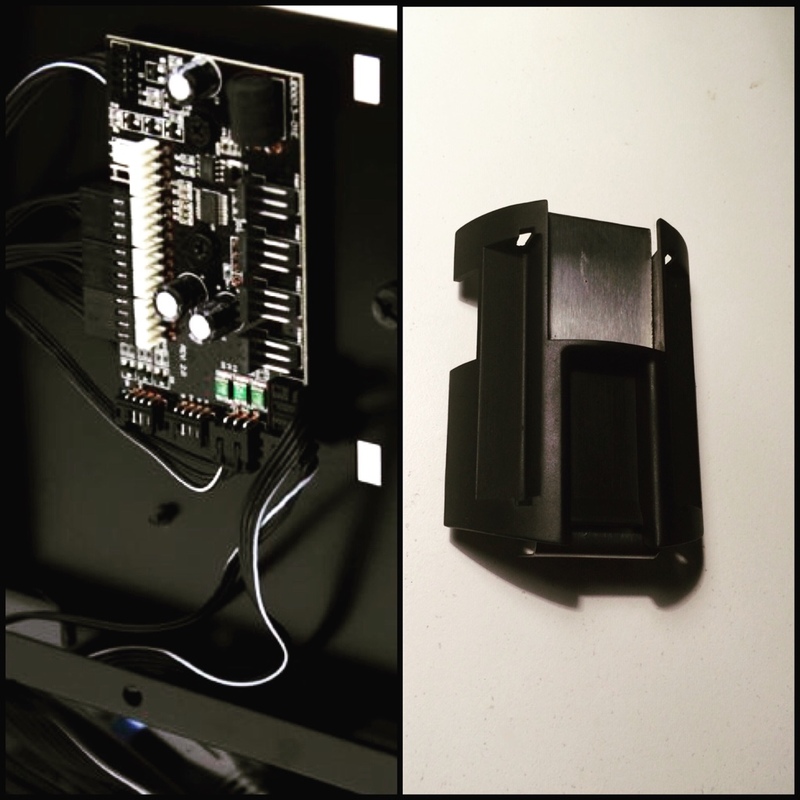 The fans can be controlled via the motherboard and software by connecting your mobo to the breakout box. I personally love this feature as it is super convenient. I also want to see if you can control your pump with the pulse width modulation output. It would be an ideal set up if I could control radiator fans and my pump via the breakout box Be Quiet has included. Even though the breakout box really isn't seen due to it being mounted on the backside of the motherboard tray; I still want to make it look awesome. I came up with the design for a cover by freehand sketching ideas on a notepad and translating it into a CAD design. Once I felt like I had a winner I used hard stock to make a template to scale. 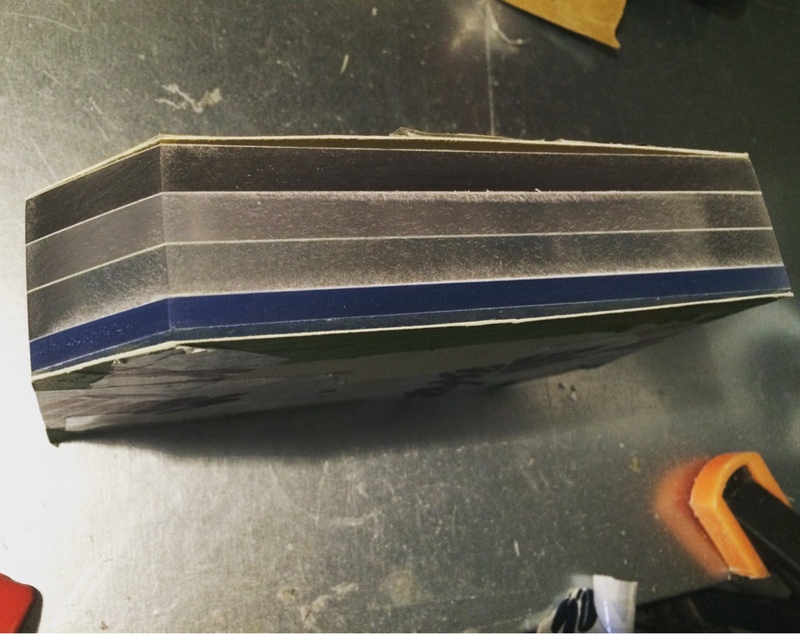 The main cover piece is made out of ABS and the inner piece will be made out of 1 1/2 mm thick stainless steel stock. The process from 3D print to painted piece was exceptionally long on this piece due to the high quality result I was after. The process is very similar to the one I detailed earlier in the log. The main difference is that I used dissolvable support material when printing this piece and the clean up/paint prep process was more intense. 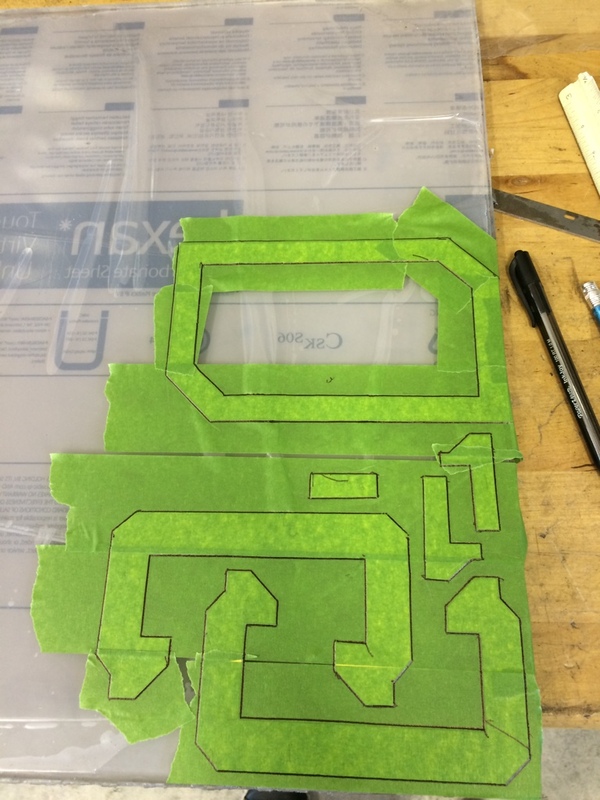 More than likely I will cut some vinyl to let me know where the inputs and outputs for the breakout box are. 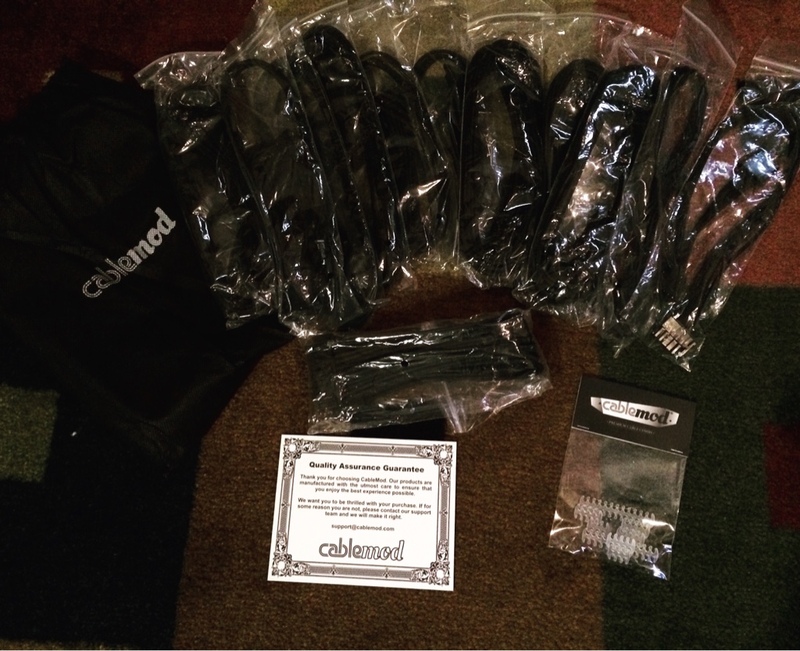 This will make things easier down the road when swapping cables around. Due to the bolts going through the PCB I will use nylon washers for the 10mm standoffs. I now have all the pieces for the reservoir cut, sanded and filed. I will polish the pieces after I have the input, output and fill ports threaded. 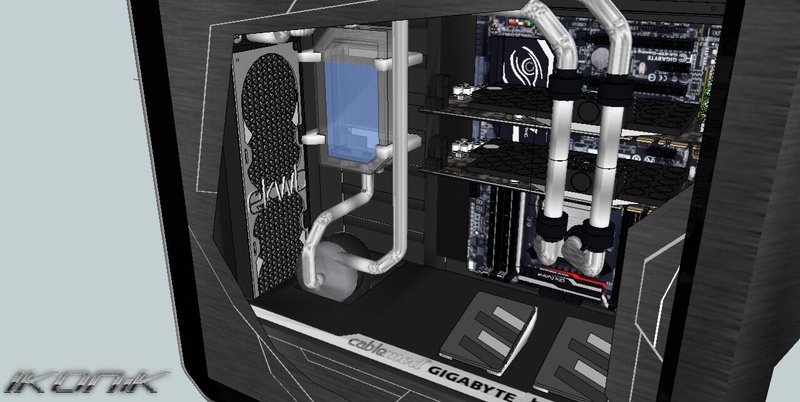 I cant decide if I should put the ports on the side or top of the reservoir. 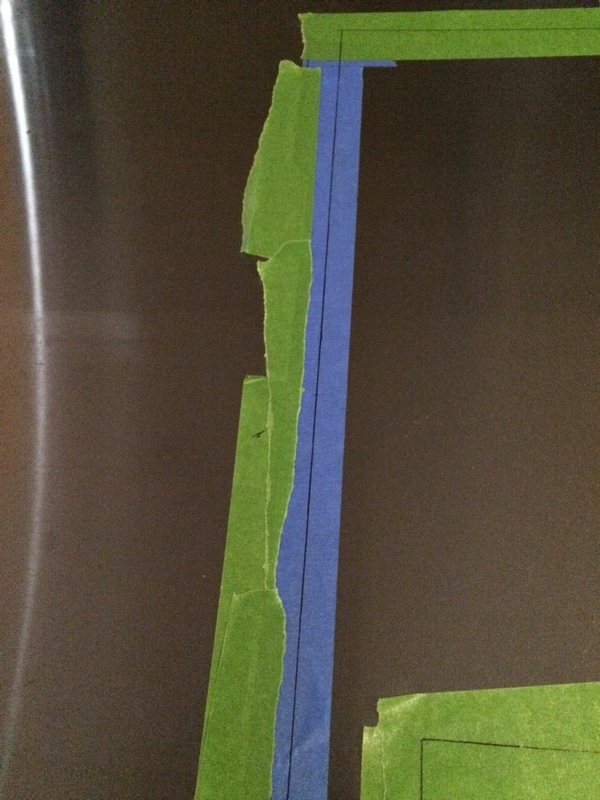 Ive also started working my way towards finer grit sandpaper for the edges.